That must be the most frequently asked question I have come across since I began blogging. For me, it really depends on a number of factors. I find inspiration everywhere, in everything. My first foray into cooking started in my teens. I think it was a chocolate cake I made. Inspiration for that was ease. Easy to make, easy to clean up, easy to eat. When responsibility set in and I was living on my own and fending for myself, it was familiarity. Comfort. Meals that we ate regularly, nothing fancy. Recipes that weren't written down but came from the heart. recipes that didn't have any accurate measurements but were ball parked. Recipes that sometimes didn't even have names, only descriptions and memories. Then I moved to Dubai. I wanted a change in direction and pace in my life, take things slower. As I decided to not work for sometime, I unleashed my creativity in the kitchen. Inspiration then came from boredom. 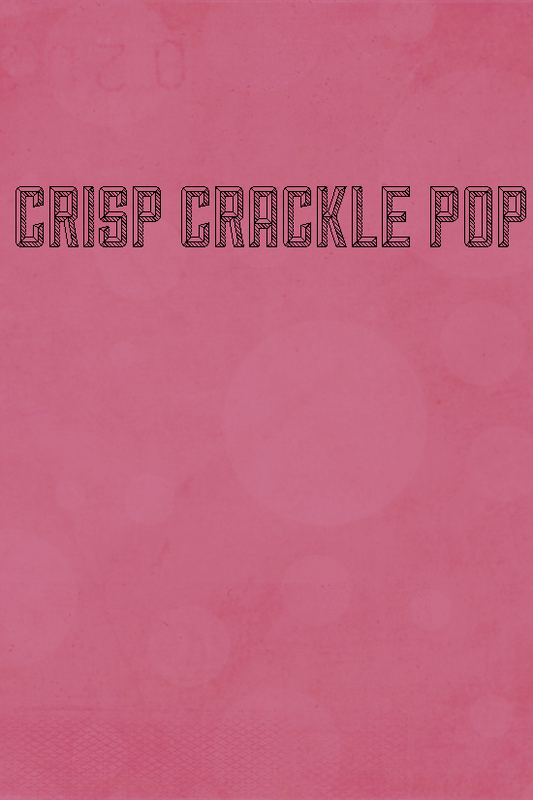 Having too much time on my hands, I scoured the internet, numerous food blogs. I tore recipes out of newspapers and magazines were covered with post it notes. It was the years of discovering new recipes as well as my love of being in the kitchen. Motherhood came next and that was life changing. Inspiration came from wanting to provide the best for my child, my family. Healthy, from scratch, wholesome, homemade. Those words are where I drew my inspiration from. Once I started this food blog, inspiration really flowed. From all directions, everywhere. Recipes developed as I read other food blogs, as I discovered and photographed unusual ingredients, tried out new dishes on a restaurant menu. Currently, one of my main sources of inspiration comes from shopping trips- be it the Farmer's market or plain grocery shopping. I'm always on the lookout for anything that looks unusual, exciting. Something colorful, eye catching. And recently, it is these beets that have had me enthralled. They may seem common to you but I only discovered beets recently. Correction- I only began to LIKE beets recently. Before this, I had only eaten them raw in a salad. That earthy taste did not leave much of an impression. But when I saw these beautiful baby beets at the market. I knew they would photograph wonderfully. There was my inspiration lying on the table at the farmer's market. 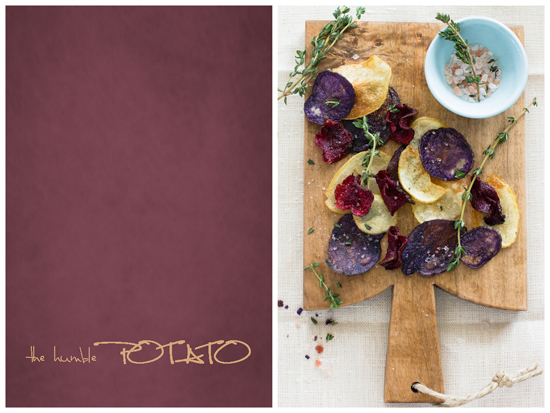 Phenomenal shades of red and purple hidden from the world beneath a rustic and raw earthy skin. Since I'm not a connoiseur when it comes to cooking with beets, I decided simplicity was the key. Beet chips sounded like a good idea and since I had made potato chips in the past, I applied the same method. I knew Maryam would love this little beauties- my most important source of inspiration. Don't we all aspire to please our families. And she did. She couldn't believe that the chips were homemade. 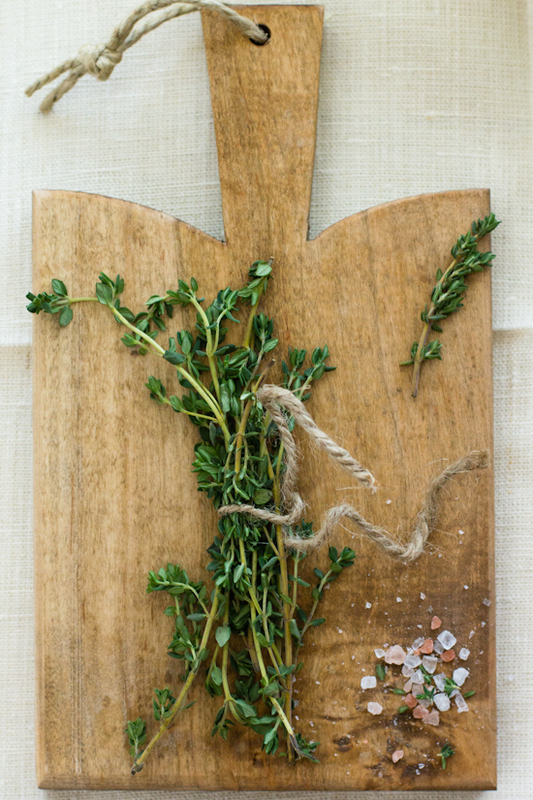 Sprinkled with thyme and rock salt, they are the perfect mid afternoon snack. Or anytime snack really. All that was missing was a crackly plastic bag to eat them out of. So tell me, what is your source of inspiration? Wash and dry the beets and potatoes. Finely slice with a mandolin. Make sure the slices are dry. Heat oil in a frying pan on high heat. 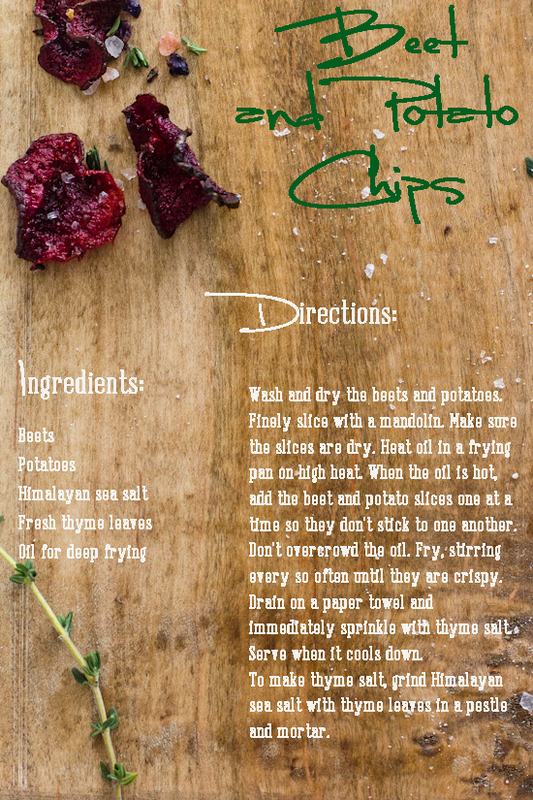 When the oil is hot, add the beet and potato slices one at a time so they don't stick to one another. Don't overcrowd the oil. Fry, stirring every so often until they are crispy. 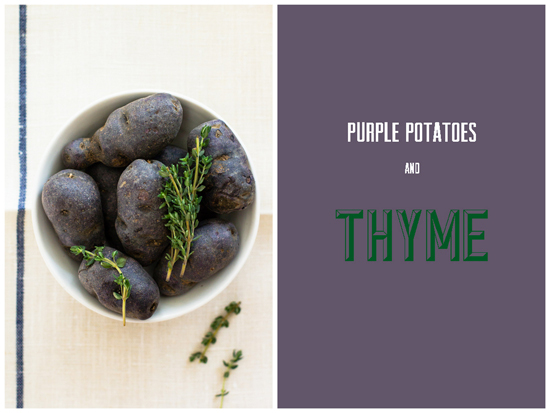 Drain on a paper towel and immediately sprinkle with thyme salt. Serve when it cools down. 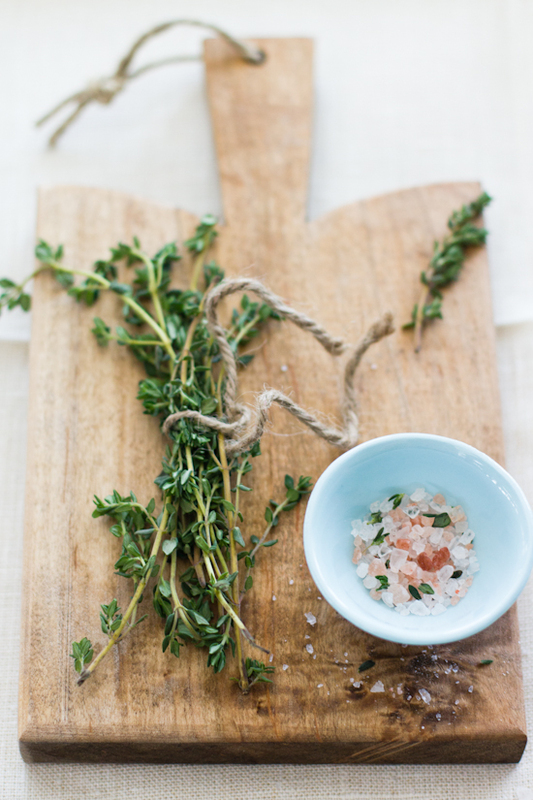 To make thyme salt, grind Himalayan sea salt with thyme leaves in a pestle and mortar. 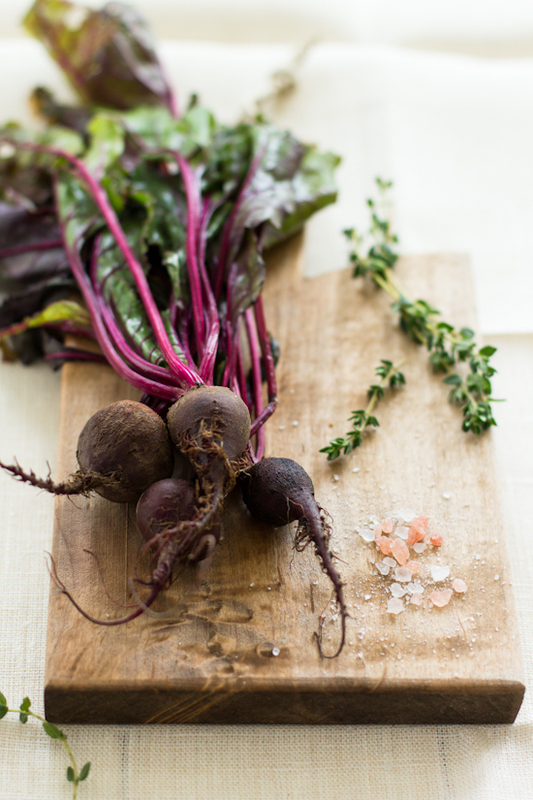 Notes: Beets will shrink when fried so you are better off using larger beets. I left the skin on beets and potatoes but that is personal preference. Beautiful chips! They look ever so tempting. A fabulous treat. Your photos are fantastic I am awed by them. 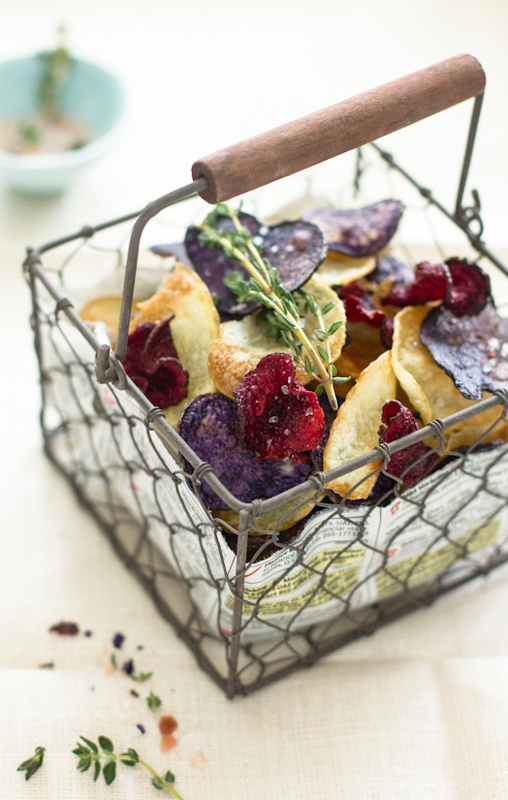 I really want to try making those beet chips they look so cool I would never have thought to make chips with them. Looks very good and gorgeous pics!!!! You have an award waiting for you at my blog. Do visit and accept! 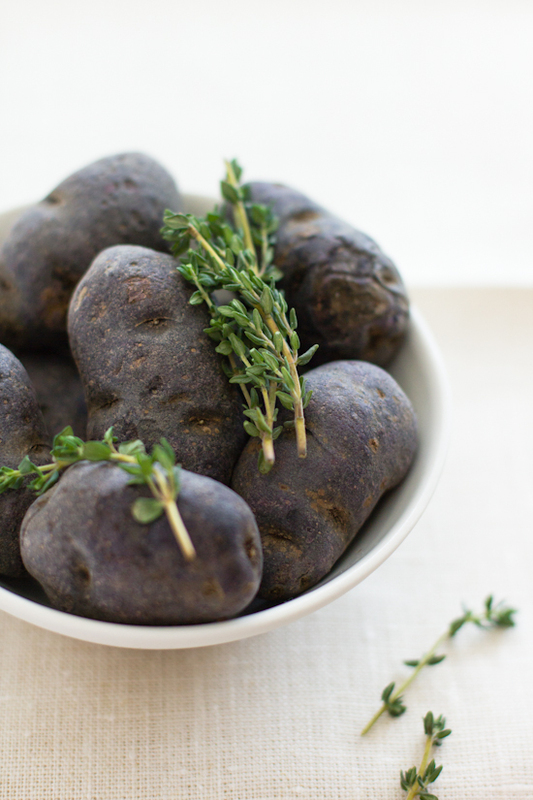 I love beets.. and purple potatoes, which I discovered couple of years back.. Thyme goes with these two root vegetables exceptionally well..
Inspiration can come from anywhere to me, just like you wrote.. can even be an aroma wafting through a neighbors window! But, mostly ingredients themselves are quite an inspiration to make something nice out of them.. also a lovely balcony garden.. Making things from scratch, all home made, guess I could go on..
What a gorgeous color combination! 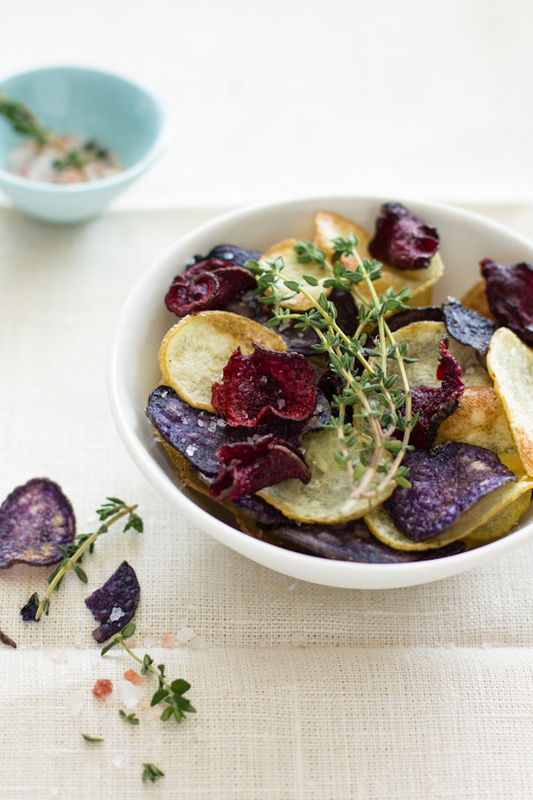 I've never had beet chips, I think - must try! Sukaina, you have inspired to become a better photographer..I absolutely love visiting your blog and staring at your gorgeous photographs! 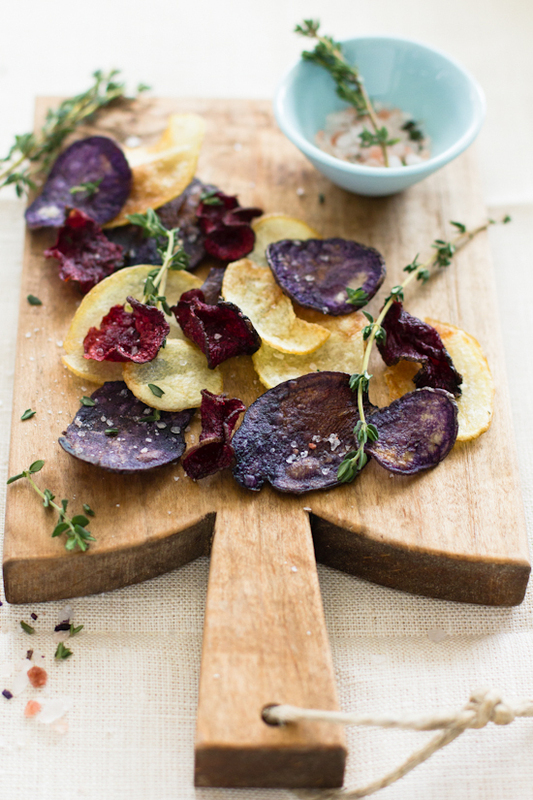 Lovely idea for beets & potato chips with the thyme salt! I've never been a beet lover, I try to like them but the earthiness gets in the way. These however are calling my name! My inspirations are quite similar to yours. It's everything in life... from my family to what vegetable/fruit that is in season. I hate beets, but in chip form I happen to love them. Maybe it's the saltiness or crunch. Whatever it is, they end up being so good. I'm completely in love with your photos on this post - simply stunning. I'm not a big fan of beetroot in it's raw, boiled or even roasted state, but I think you've made a convert of me...it looks absolutely wonderful here. Gorgeous! I just found your site via Pinterest and love it! Amazing photos and your recipes...mouth-watering. Cheers! Thanks for this beautiful post. The photos are gorgeous - are they taken with your new lens? I have had an overwhelming urge to cook with beets lately, I stare at them almost every time I'm buying veggies and think about how nicely they would photograph - you definitely proved that!! I too find inspiration everywhere! 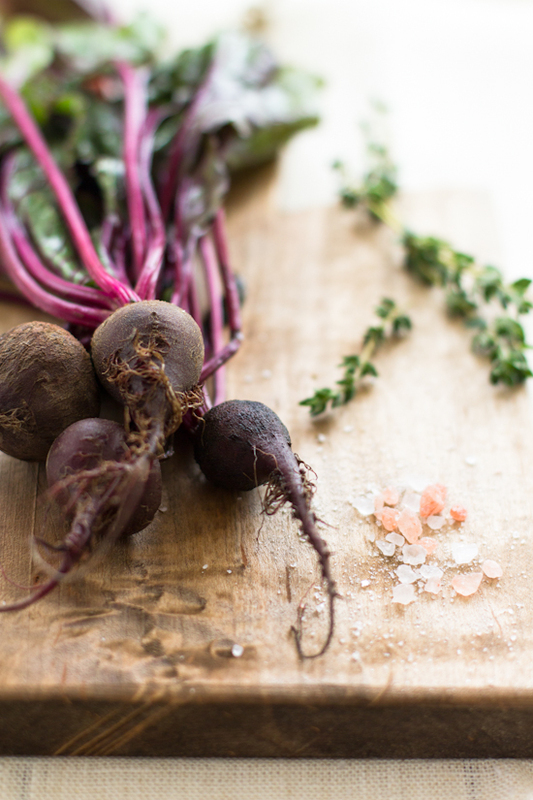 Your photos are stellar, the beets, potatoes and chunks of salt sparkle in their delicious beauty. looks just awesum..n wonderful cliks.nice blog with tasty recipes n beautiful cliks...catch me when u free in my space dear..thank u..
Lovely shots! And those chips are gorgeous! I'm not sure I'd be able to eat them - I'd just want to look at them. Amazing. Can you tell me where that cutting board is from. I love it. Now i am inspired to use your recipe for my lil girl's snack too, thanks Sukaina! A really inspiring post, stunning photos. I'm with you, my inspiration also comes from home and now from trips to the market although you've inspired me to venture out even more and hunt out some of this gorgeous beetroot! I just found you via Pinterest and this post is utterly and fabulously fabulous! Gorgeours photos and wonderful story. Peace. What a sweet way to have us get a short preview on what inspires you, loved this post! 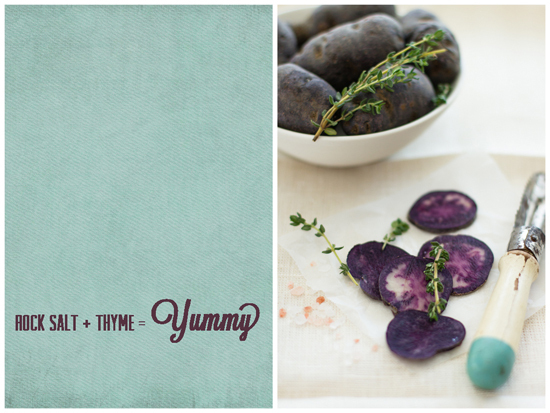 What an amazing blog, I am inlove with your photos and recipes! Keep the incredible work coming. What pretty baby beets! I always truggle finding beets here that are not precooked. Would love to find a few of these little ones. Wow Sukaina, this looks amazing! I've never tried beet chips before but I'm going to have to try it now. Gorgeous gorgeous photography as well! Hello! I've seen your post via Pinterest and I've felt in love with your photos!! Could you tell me where I could find this gourgeous metal basket?? Thank you very much!! I love how you've used the photograph as a background/template to list down the recipes in the last 2 posts. It gives it a very glossy magazine feeling. Nice! These are absolutely wonderful...and such gorgeous photos! This chips are so inventive & they look addictive. Stunning post! Very pretty. I love beets in all forms. I bet they taste great but I can't imagine spending that much time making a snack for my kids. I enjoy beets - but my fiance is not a fan. We got a nice bunch in our CSA Bag this week, and this recipe looks perfect to make to go along with some other tasty treats for dinner/snack tonight. THANKS for some of the most beautiful pictures I have seen in a while! I have just discovered your post, Sukaina! I absolutely adore the photography! And I've already found a number of recipes that i MUST try asap! This one is great! I may finally succeed in feeding my 6 -year old beets! :D Thanks! Beautiful! My favorite foods right there. off to buy beets and taters! Great article. Thank you for posting it because it gave me the answers I was looking for - after scouring the Net for who knows how many hours. I'll definitely come back; got you bookmarked. Thanks again! اهم و افضل شركة مكافحة حشرات تقدم لكم افضل مستوي خدمات ابادة حشرات من خلال فريق اهم شركة ابادة الحشرات و هي الشركة الفرنسية التي تعتبر اقوي شركة مكافحة حشرات علي مستوي جميع انحاء المحافظات . تمتعوا الآن بأفضل مستوي خدمات من خلال شركة مكافحة الارضة بمكة التي تتميز بالكفاءة العالية تواصل الآن مع شركة ابادة حشرات التي تعتبر الأفضل يمكنكم الآن الحصول علي مستوي عالي من خدمات شركة تنظيف سجاد بمكة التي تتخصص بالمجال علي مدار سنوات . ارخص شركة نقل اثاث بمكة هي الإخلاص و الآمانة تمتعوا الآن بأفضل اسعار خدمات نقل عفش مكة التي تقدمها لكم بإشراف افضل الكوادر العاملة المختصة في فك و تركيب العفش . خبرات واسعة يتميز بها فريق اكبر شركة تنظيف منازل بالخبر يتميز بالحرص و الدقة في اتمام عملية تنظيف المنازل و يتبع افضل الطرق يمكنكم ايضاً التواصل السريع مع اهم شركة مكافحة حشرات بالخبر و هي شركة ابراج دبي التي تتخصص بالمجال علي مدار سنوات . خدمات مميزة و علي افضل مستوي احصل الآن علي افضل خدمة زراعة الشعر من خلال اهم الفرق المختصة في مجالات زراعة الشعر فى تركيا و التي تتبع افضل الطرق المميزة في تقديم مستوي عالي جداً من خدمات يمكنكم التمتع الآن بأفضل العروض و الخصومات التي تقدمهغا لكم مركزنا .